Authored by Dontsov Valentin (valentin_b4w) on Nov 15 2014, 3:09 PM. 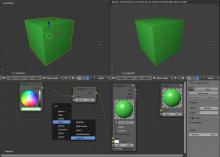 The diff shared Cycles gamma node with Blender Internal. Dontsov Valentin (valentin_b4w) retitled this revision from to New node in the Blender Internal (gamma node). Dontsov Valentin (valentin_b4w) added reviewers: Ton Roosendaal (ton), Brecht Van Lommel (brecht), Shinsuke Irie (irie). Dontsov Valentin (valentin_b4w) added projects: Rendering, Game Rendering. Dontsov Valentin (valentin_b4w) added a subscriber: Evgeny Rodygin (Evgeny_Rodygin). The idea behind this is not just to improve the Blender Internal (GLSL) node system, but also eliminate the gap between it and the Cycles nodes. So maybe it will be possible to merge them together in the future? 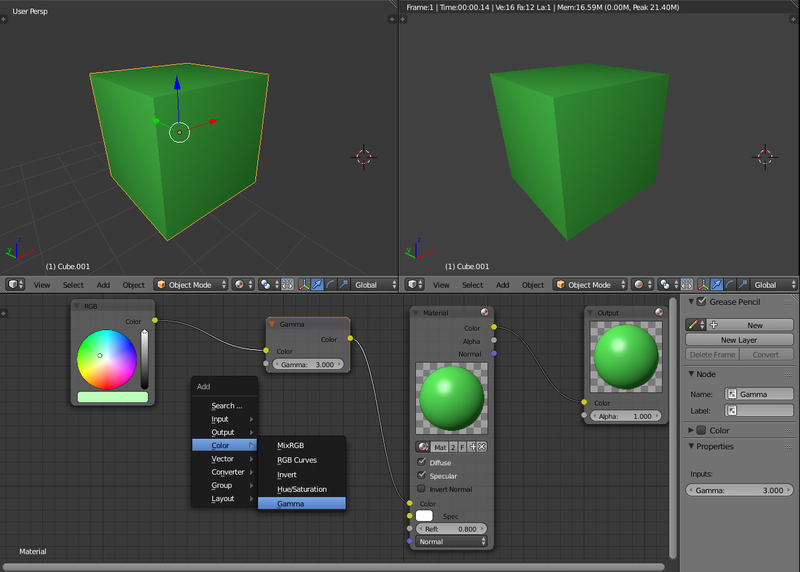 Evgeny Rodygin (Evgeny_Rodygin) retitled this revision from New node in the Blender Internal (gamma node) to Gamma node support for Blender Internal. Updated for the actual master.